Shingles alone will not give you all the protection you need from infiltration of water. 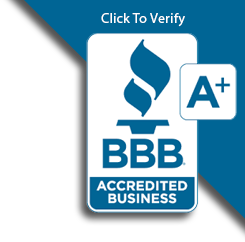 When you install asphalt shingles, merely attaching the shingles to the bare deck is not enough. For necessary protection a layer of underlayment beneath the shingles is required. In particularly vulnerable areas, special waterproof membranes may be required. Though the names are often used interchangeably, there is a difference between tar paper and roofing felt. Tar paper is roofing paper impregnated with tar. The result is a waterproof material used for roofs. Roofing felt is felt impregnated with asphalt and then used for roofs. The two products are virtually identical in function and installation. 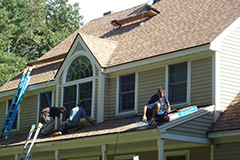 Roofing felt is by far the most common and basic type of underlayment. The purpose of this type of underlayment is to protect your home from water infiltration, while still "breathing". Breathing allows air and moisture to escape from inside your attic. You need you attic to be dry because trapped moisture is the major cause of decay, mold, and mildew in your attic. Felt usually comes in two thicknesses, 15 pound and 30 pound. A 15 pound roll of felt will cover twice the area of a 30 pound roll of felt. The generic, least expensive, entry level felt that is sold everywhere is inflexible, difficult to handle, tears very easily, will buckle and wrinkle, and is difficult to lay flat. The cheap felts are far more likely to wear out, become brittle, and deteriorate before your shingles wear out. When installing cheap felt, it is common for the nails to create tears in the surface of the underlayment. You would not want to expose this felt for more than a couple days exposure before putting on the shingles. Many homeowners want to spend a little more to get a synthetic underlayment. For just a few dollars a roll more, you can get underlayment that is flexible, several time stronger, almost impossible to tear, will never rot, will never become brittle, and will easily lay flat. It will take nails without tearing. 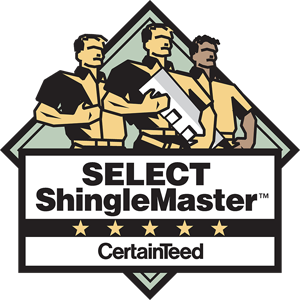 The better synthetic underlayment can withstand exposure for months before applying the shingles. For superior protection from wind driven rain, melting snow and ice, and ice dams, a water proof leak barrier is recommended. The purpose is to have a 100% watertight seal in the most vulnerable areas. It has become standard installation practice in winter climates and, in some areas, has been included in building codes. It is not suitable for the entire roof, because you still want your roof to "breath". It should be installed in strategic and vulnerable areas. Leak barrier should be installed in valleys, along the eaves, along rake edges, around skylights, around chimneys, around dormers, around vent pipes, and all areas with flashing. These water tight membranes are especially necessary in areas where you susceptible to ice dams. Traditional underlayment will not protect you from the pooling water created by ice dams. Underlayment is sometime treated like an afterthought, but don't be deceived, it is an essential part of a properly installed roof. Cheap, inadequate, or improperly installed underlayment can make for expensive repairs or unnecessary reinstallations down the road.